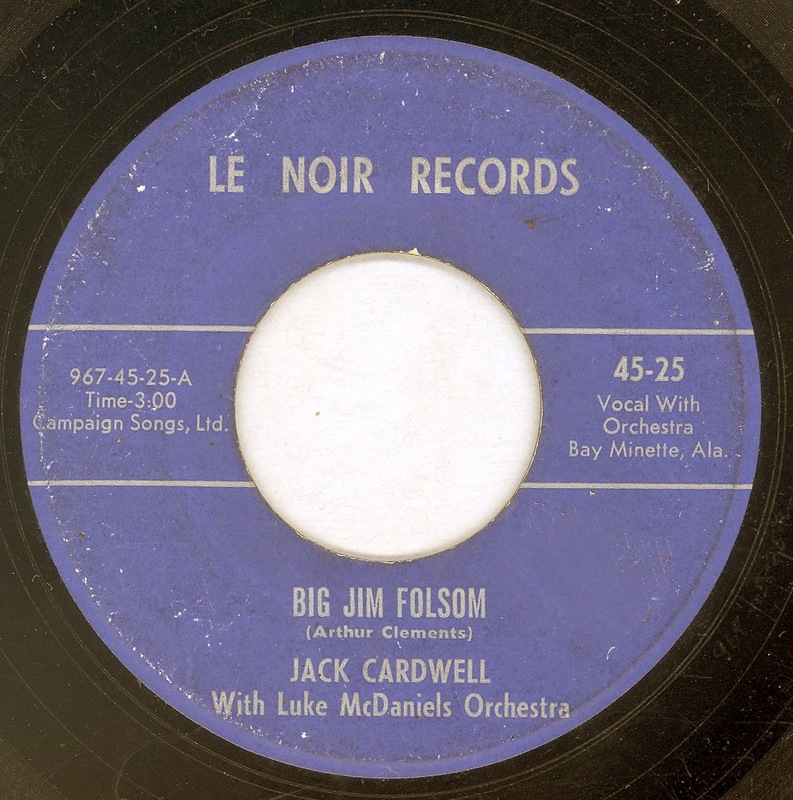 Alabama state Governor "Big" Jim Folsom was first elected to office in January 1947, his four year term ending in January 1951. 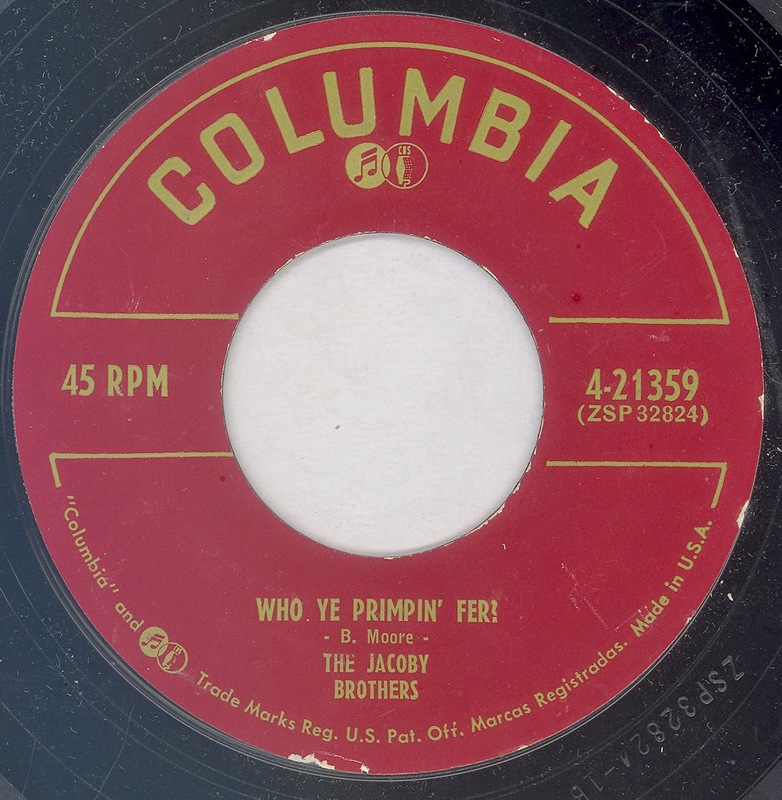 Folsom served a second term as Governor from 1955 to 1959. 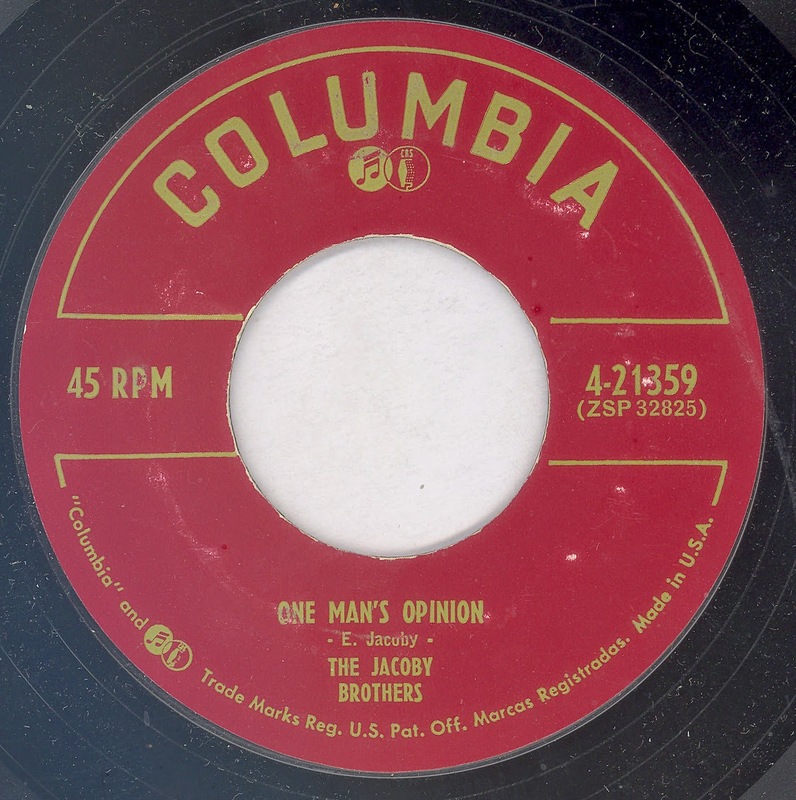 In 1962 he stood again, but was defeated in the primaries by George Wallace, who then went on to be elected as Governor. 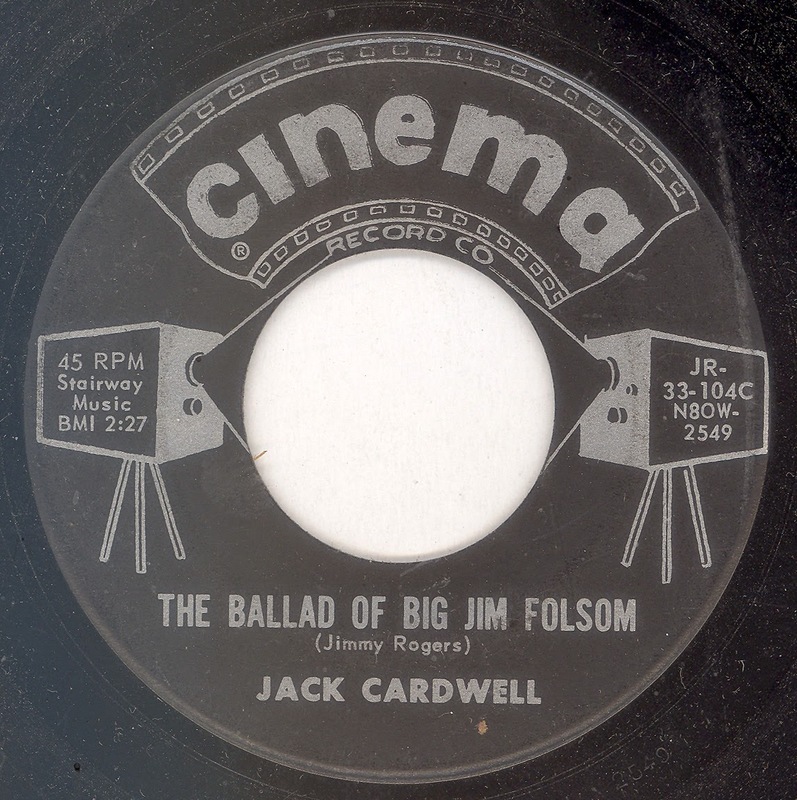 Prior to Folsom's run off against George Wallace Jack Cardwell recorded two campaign songs in 1962 for Folsom. 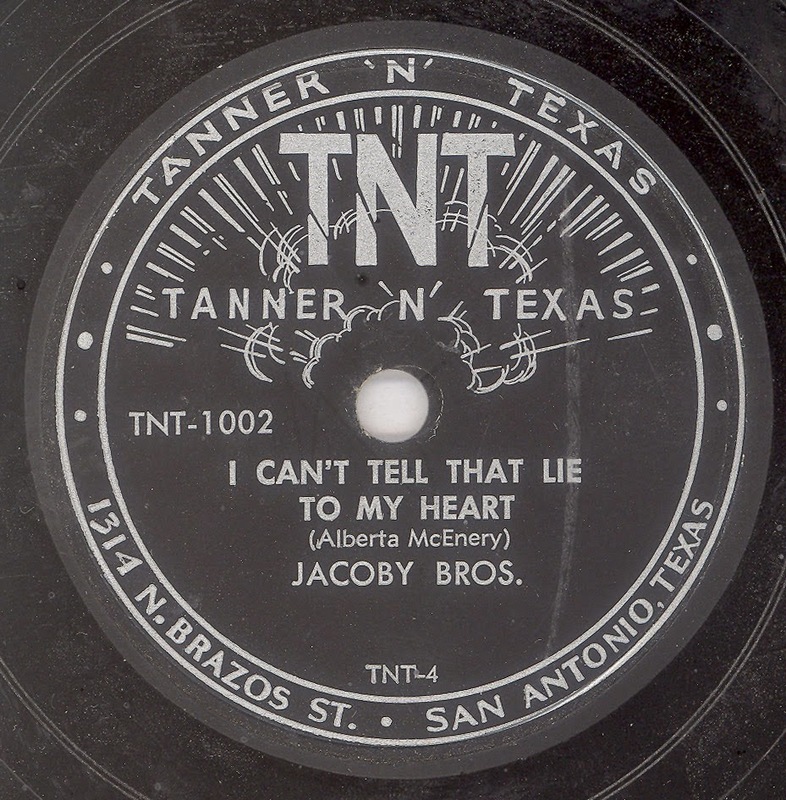 The first was a single sided King Custom pressed disc on the LE NOIR label on which Cardwell was accompanied by Luke McDaniel and his band. 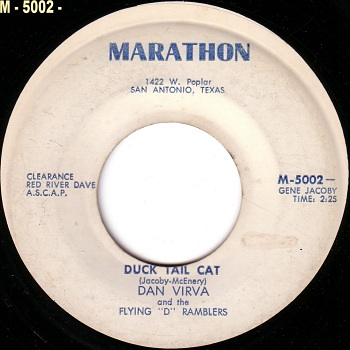 Although the record label states that the recording is three minutes long, in reality the song only runs for one minute thirty six seconds. 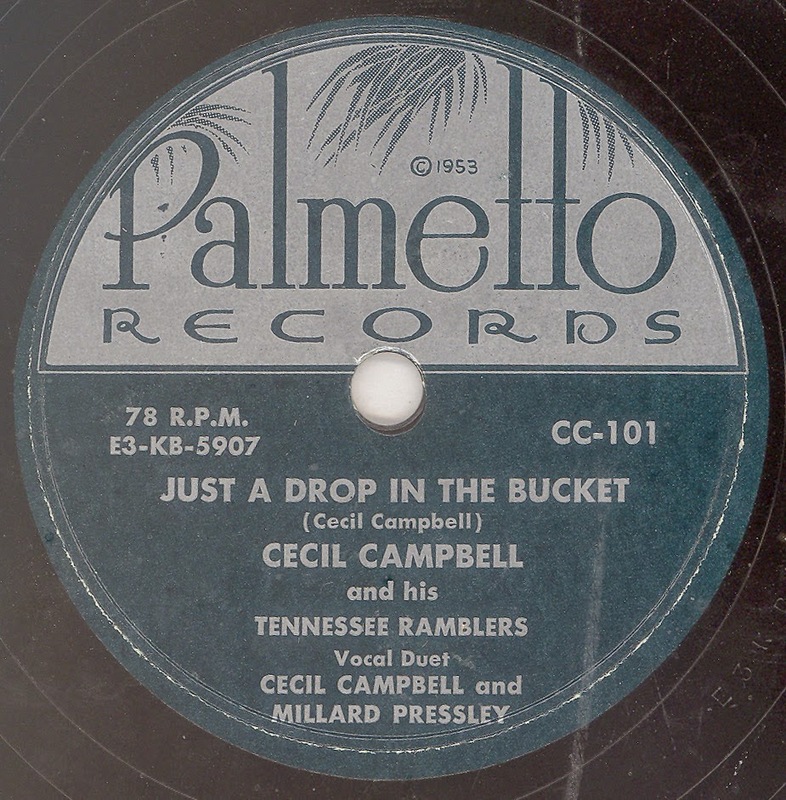 The second song was a commercial release issued on the Alabama CINEMA label, the flip side of this release was by Roland Johnson, who turns in a decent rendition of Arlie Duff's "Y'All Come". 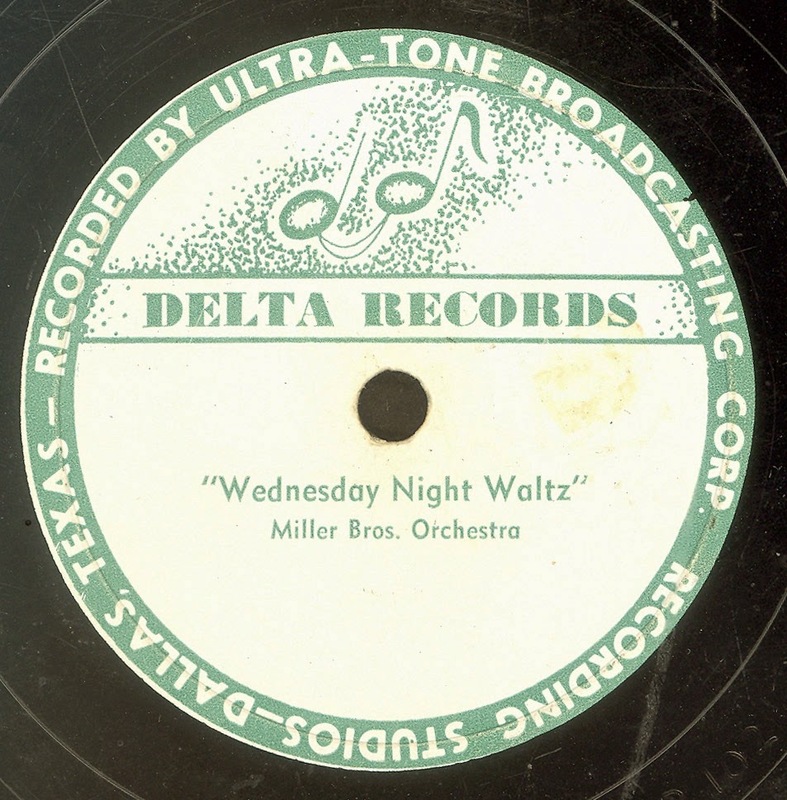 Before recording for the 4 STAR label, the Miller Brothers made a dozen sides for a DELTA Label, first in Dallas, and then (later) in Wichita Falls. 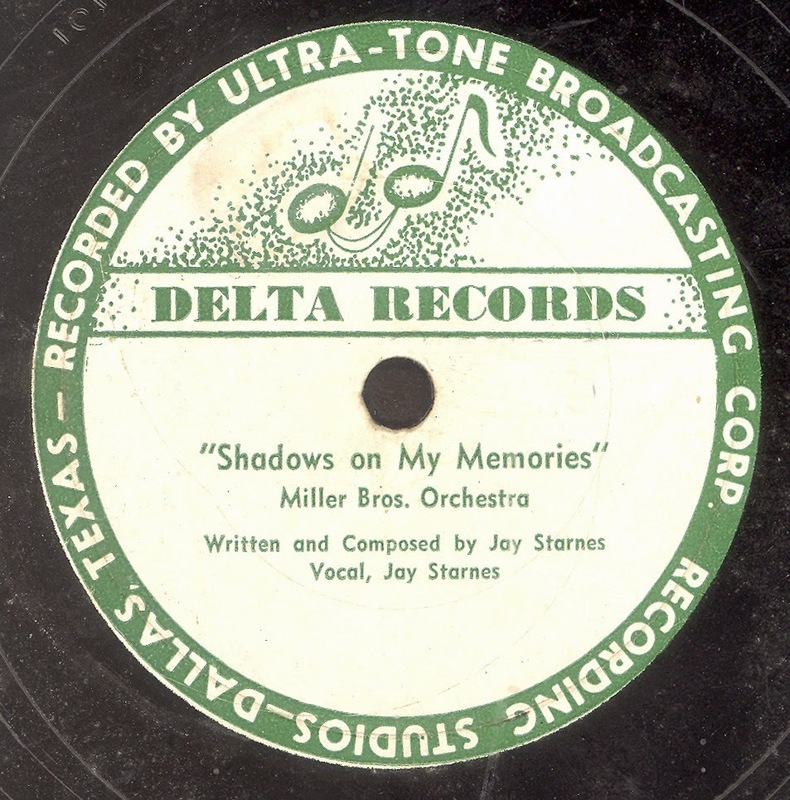 Here we have the four sides, recorded around 1947, at the ULTRA TONE Recording Studios in Dallas. 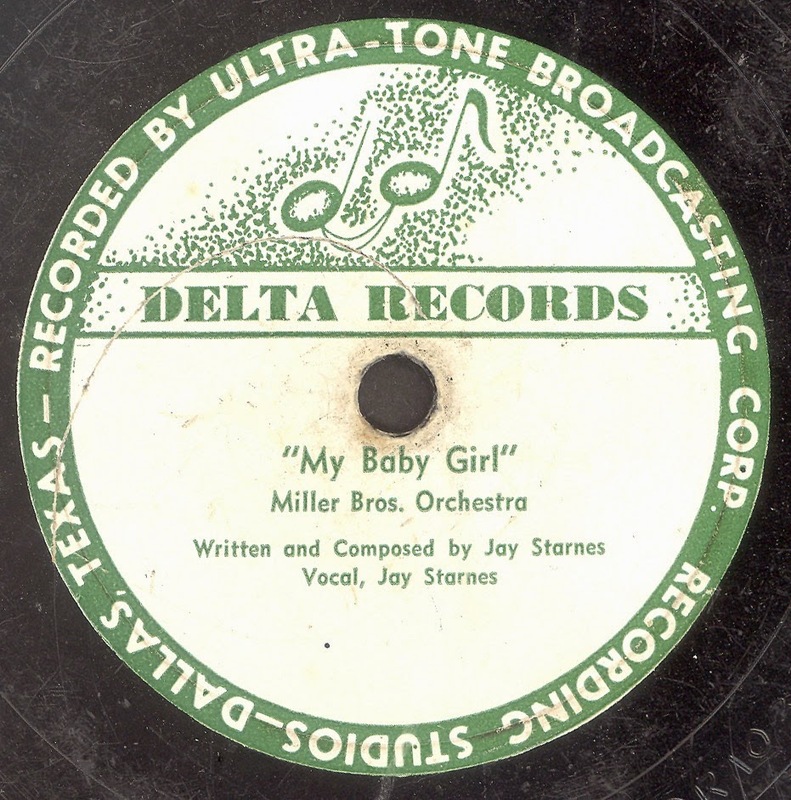 According to Prague Franks' Miller Brothers discography the band's line up was Jay Starnes (Vocal – where noted). 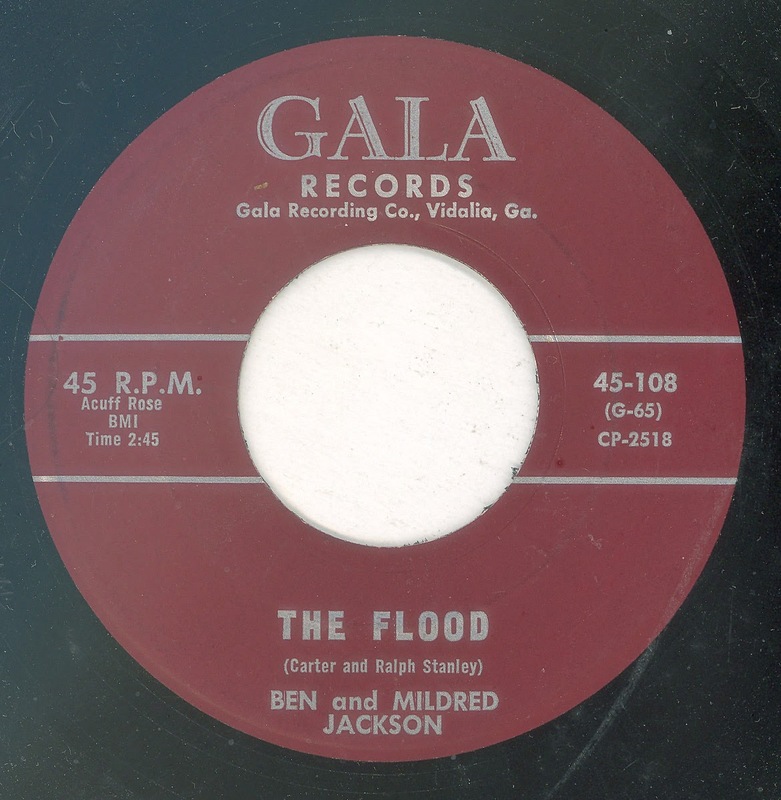 Sam Gibbs (Guitar), Leon Gibbs (Fiddle), Nat Gibbs (Bass), Lee Cochran (Trumpet), Forrest Fulcher (Sax), Clyde Smith (Sax), Pauline Fulcher (Piano), Bob Steed (Drums). 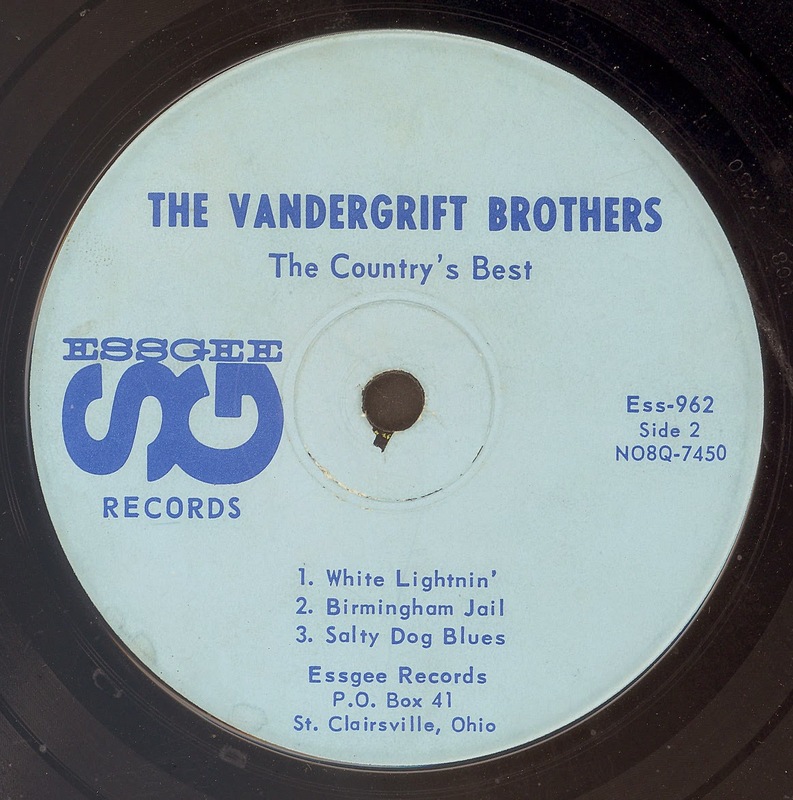 I've been trying, on and off, to set up a Country / Hillbilly / Bluegrass Gospel blog. 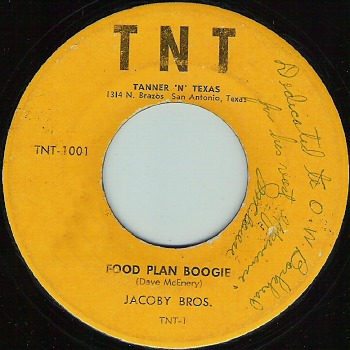 I can't quite get it as I want it, I shall persevere and hopefully will find a solution to the way I want to lay out the blog. 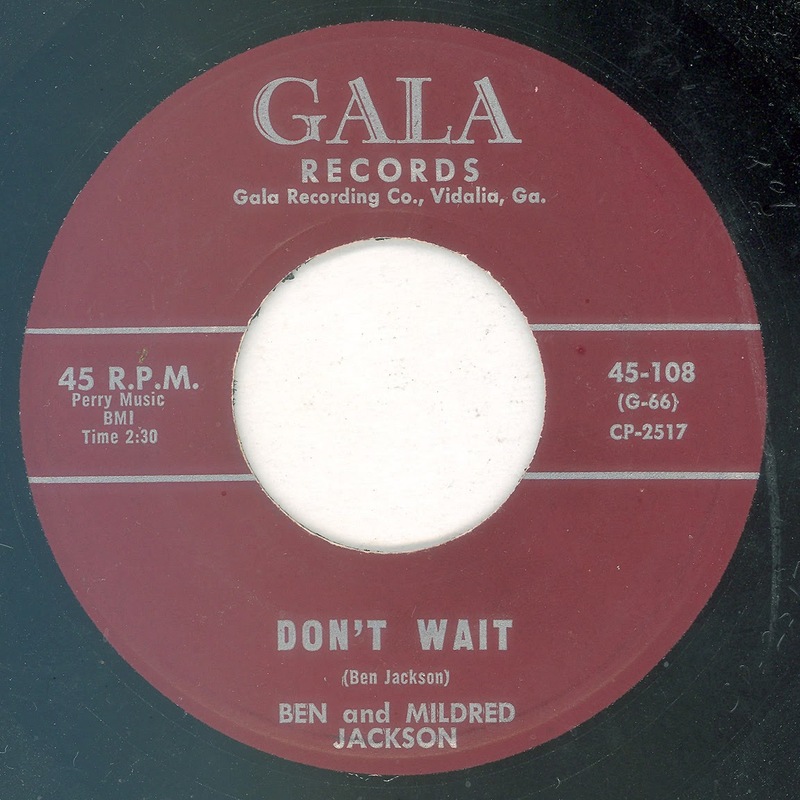 In the meantime here's a nice little gospel record from Georgia . 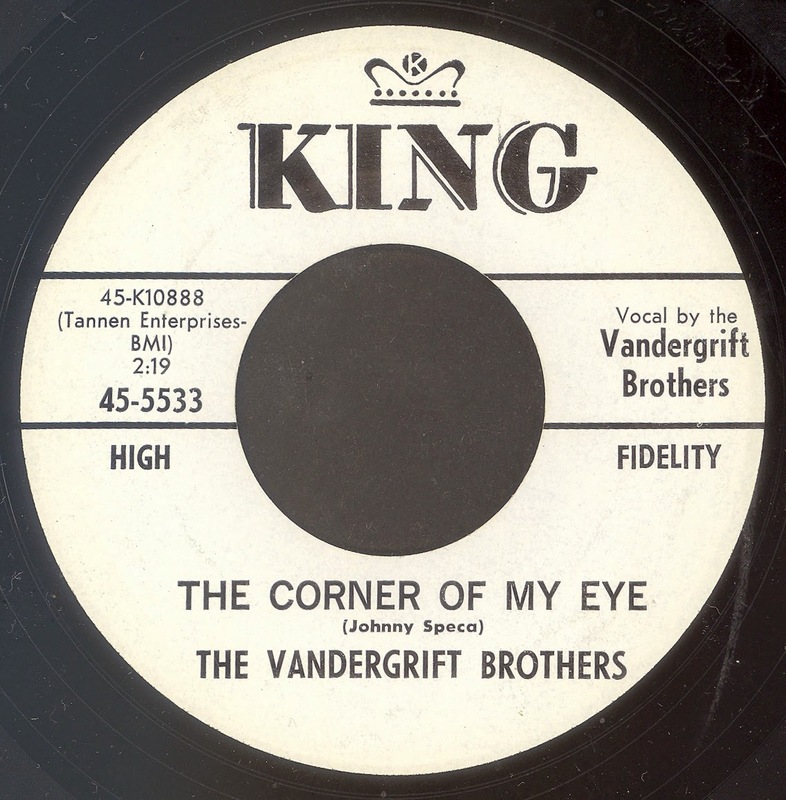 I thought it would be nice to have all the Vandergrift Brothers KING recordings in one place, so here are the two known releases on the label. 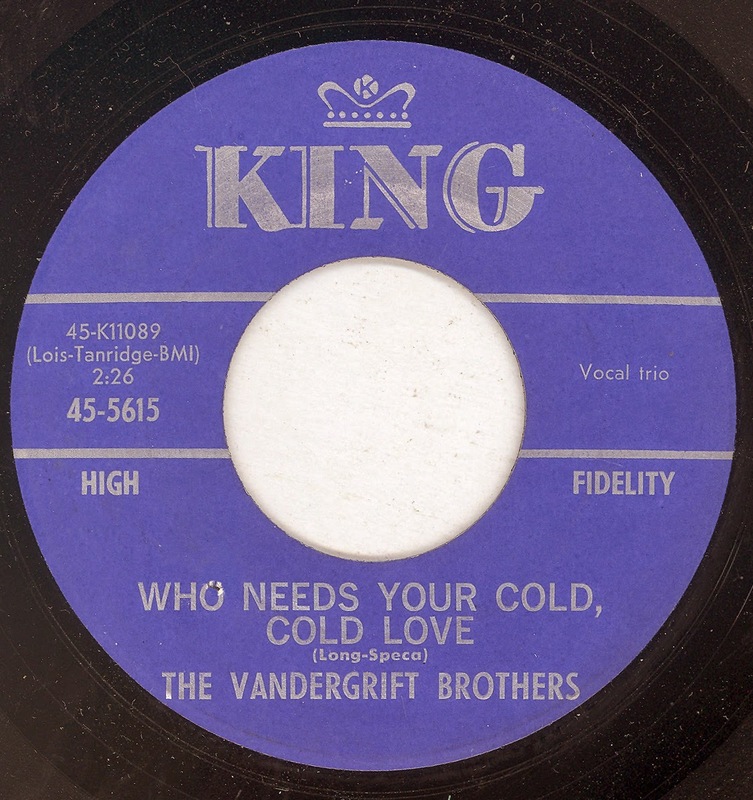 Billboard reported, 30th March 1963, that the Brothers were recording for KING, which I assume refers to the release shown below (KING 5533). 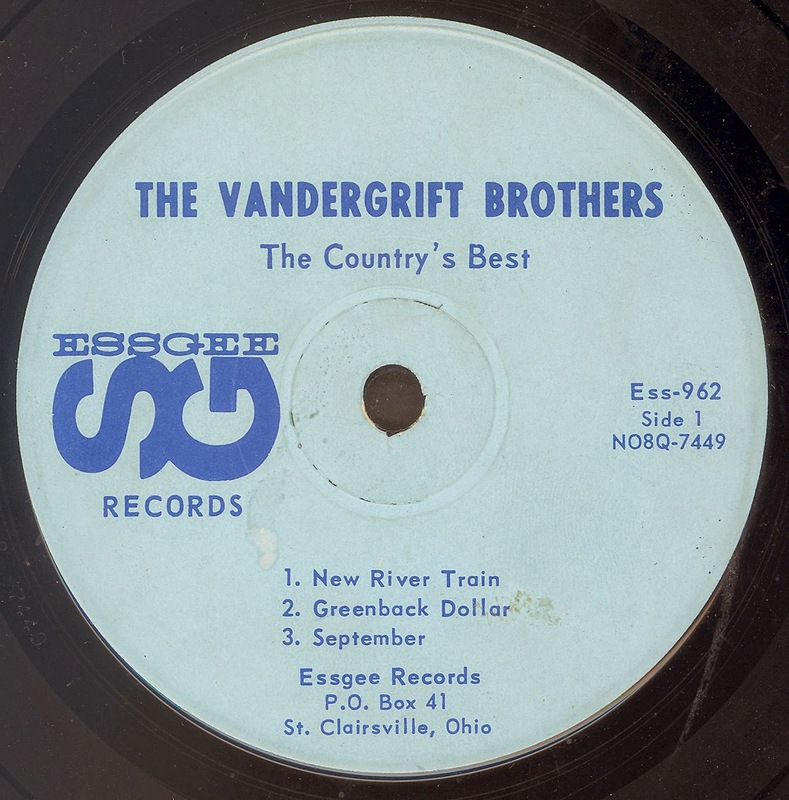 in which Gene's son Wade outlines the brothers story. 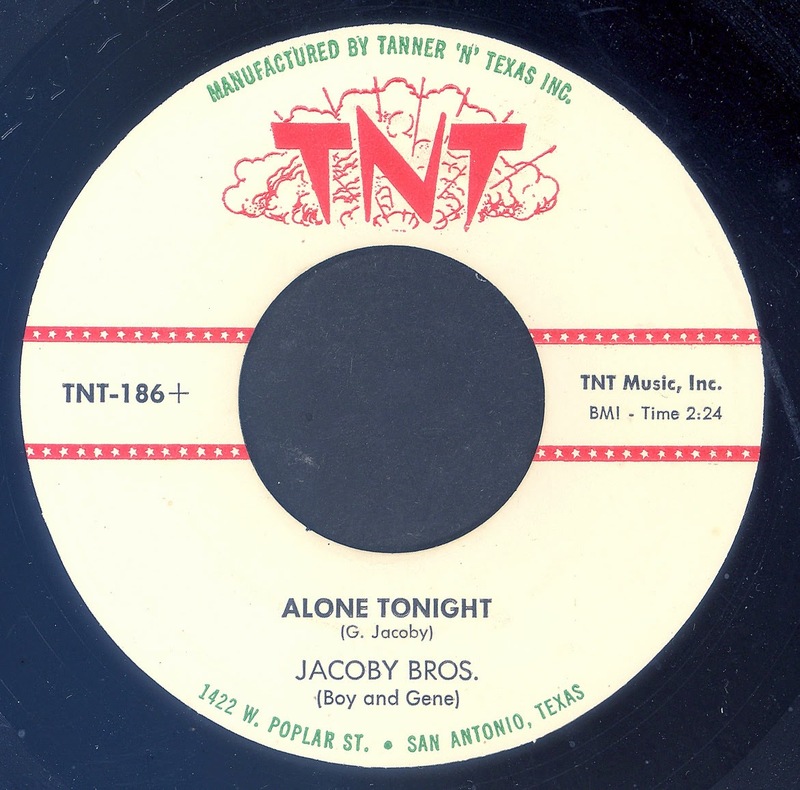 I once read an article on the Jacoby Brothers which stated something to the effect that Red River Dave (Dave McEnry), who was apparently the Brothers manager at the time, set up the TNT label in partnership with Bob Tanner as a vehicle to promote the brothers, and some of the other artists he managed, as well as himself. 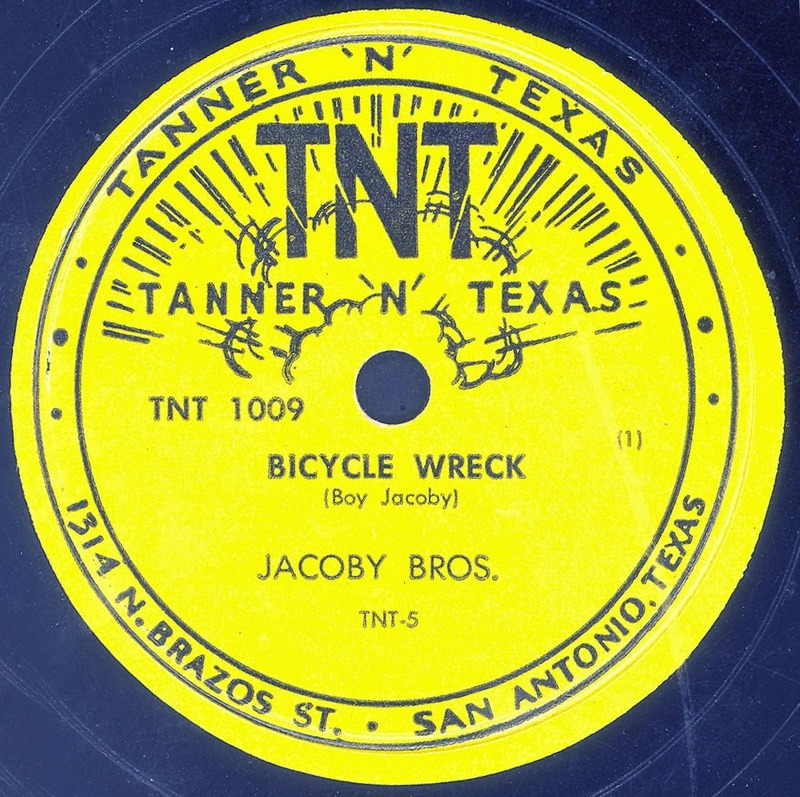 This notion is given some credence by the fact that McEnry is involved in one way or another in the majority of the early releases in the TNT 1000 series, which date from 1953 and 1954, but I don't think his involvement was long term. 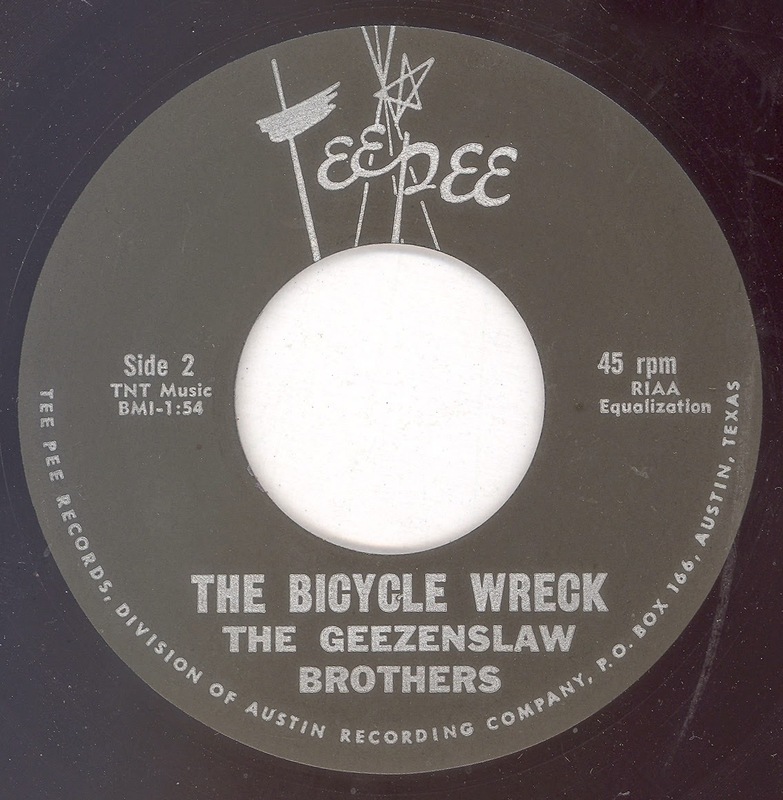 (Above) Australian issue of "Bicycle Wreck"
A later version of "Bicycle Wreck" by The Geezenslaw Brothers on which they added an additional verse! 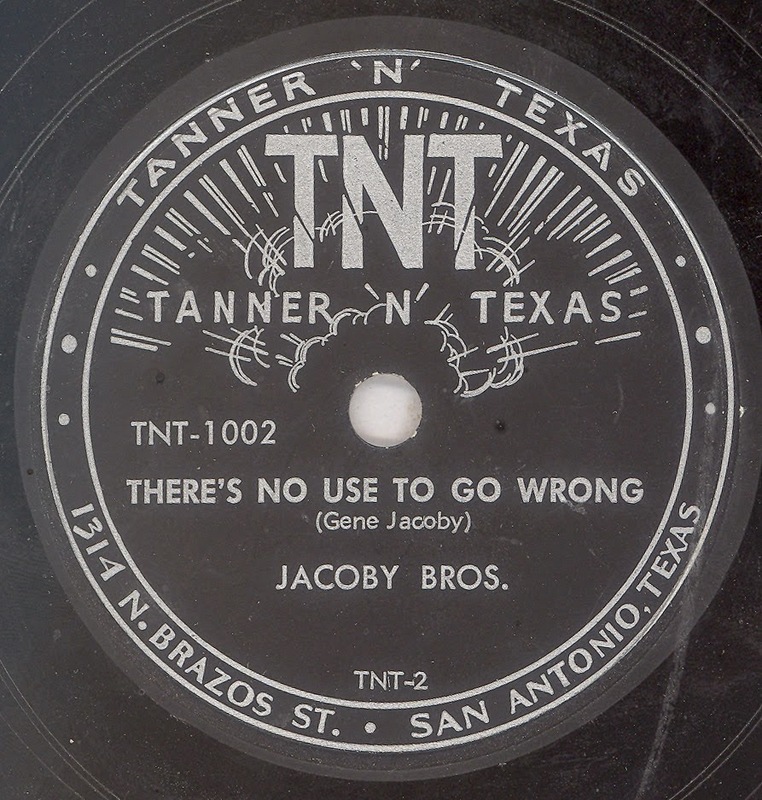 Their COLUMBIA session was supposedly the last time they recorded together as the Jacoby Brothers. 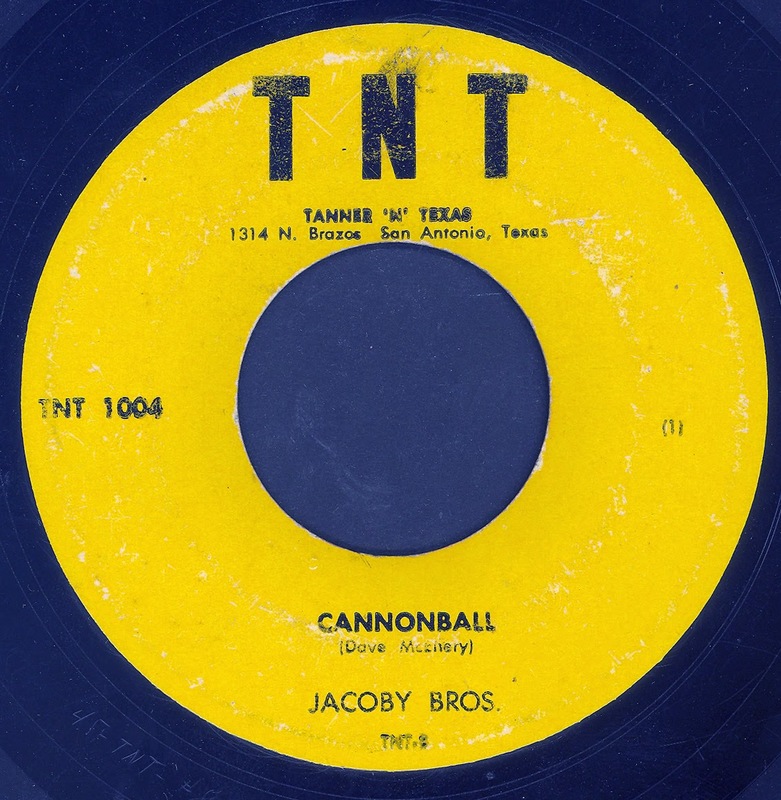 However, there was a release on TNT in 1961 credited to The Jacoby Brothers; it has been suggested that this was earlier material, but musically, with drums and piano, it fits the later period of time! 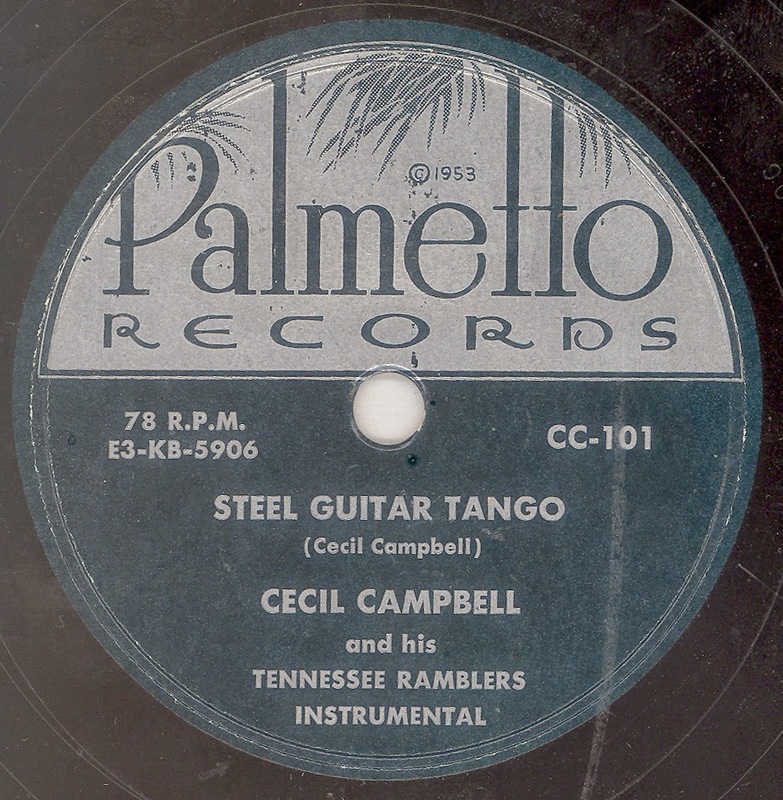 acknowledgements: William Agenant's COLUMBIA 78 RPM Record Listing 20001 thru 21571 (Joyce Record Club Publication - 1996) for Columbia master numbers and recording date. 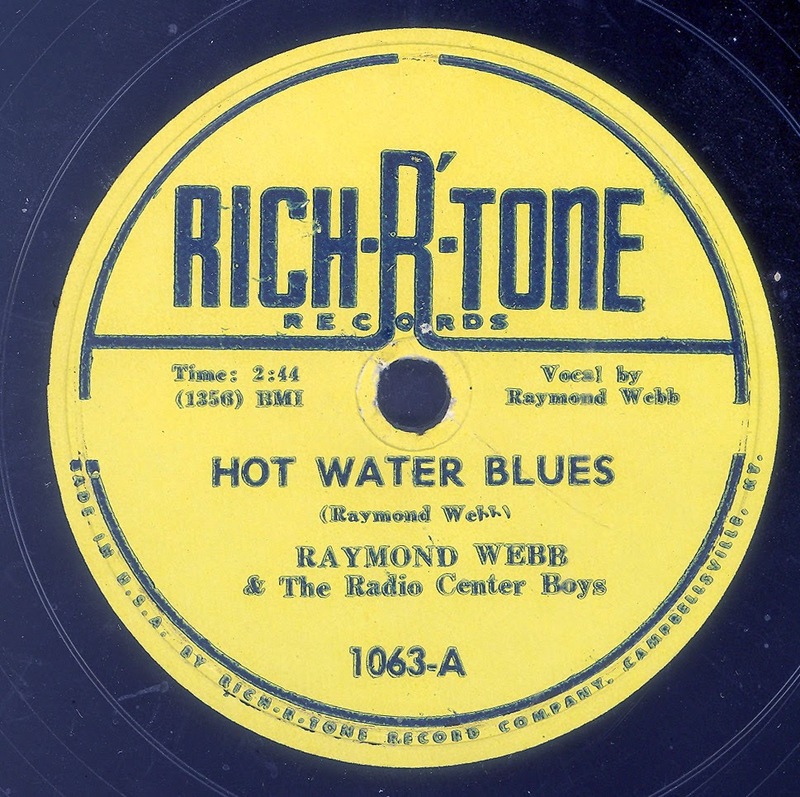 In the mid / late Forties many of the larger independent recording companies, like ALADDIN, APOLLO, ATLANTIC, and MODERN, tested the market to see if they could secure a share of the growing Country & Western record sales. 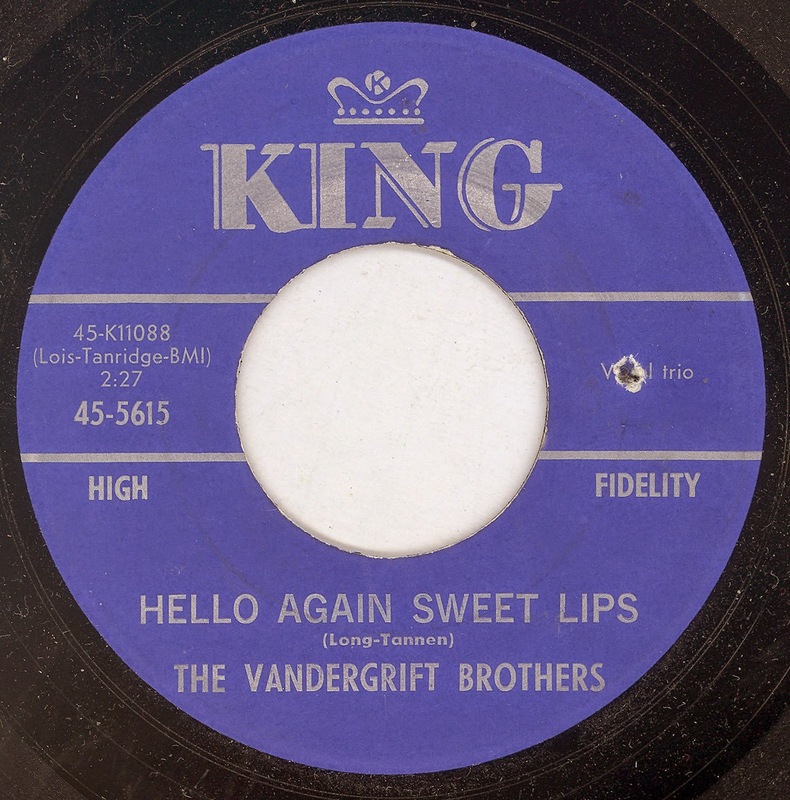 No focus groups were involved, no slick marketing analysis, they just seemed to have put out a hand full or more of records, over a relatively short period of time, and monitored sales. 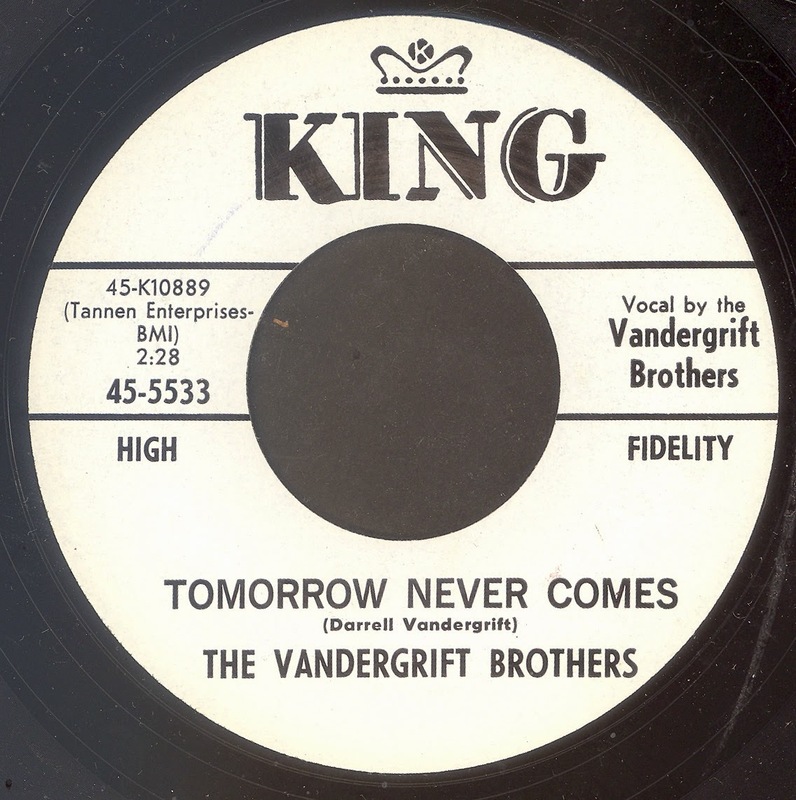 It is interesting to ponder what might have happened if anyone of the aforementioned labels enjoyed significant sales of one of their Country releases, I doubt if they would have reviewed their marketing strategy, as all were fairly established as purveyors of quality R&B and Blues, although it might have led to the formation of a subsidiary company as a vehicle for Country music, who knows it's only a little bit of indulgent speculation. 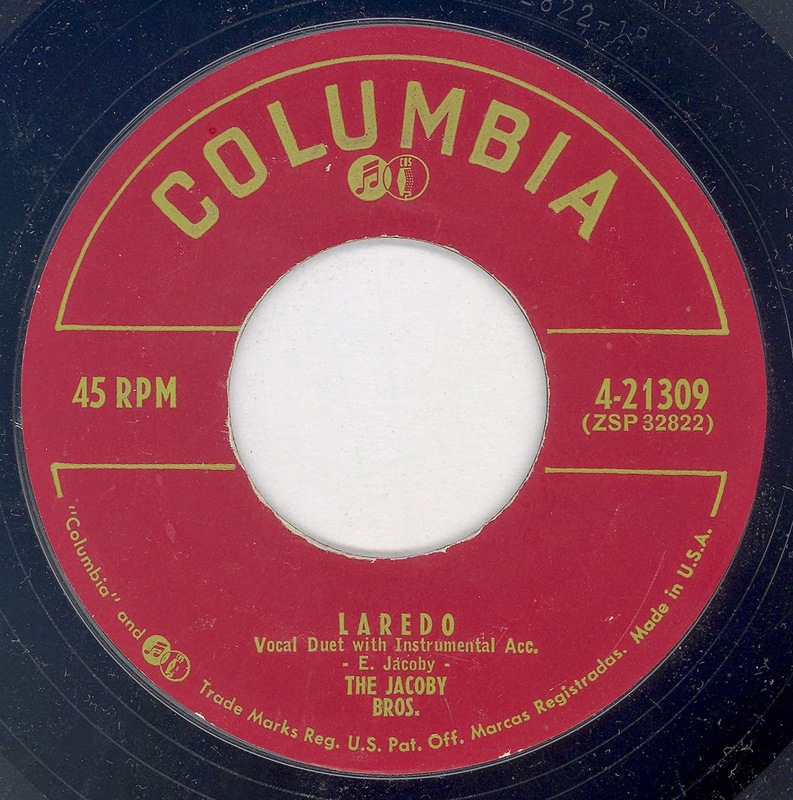 Both sides were recorded at the APEX Recording Studio New York City on 23rd August 1949. 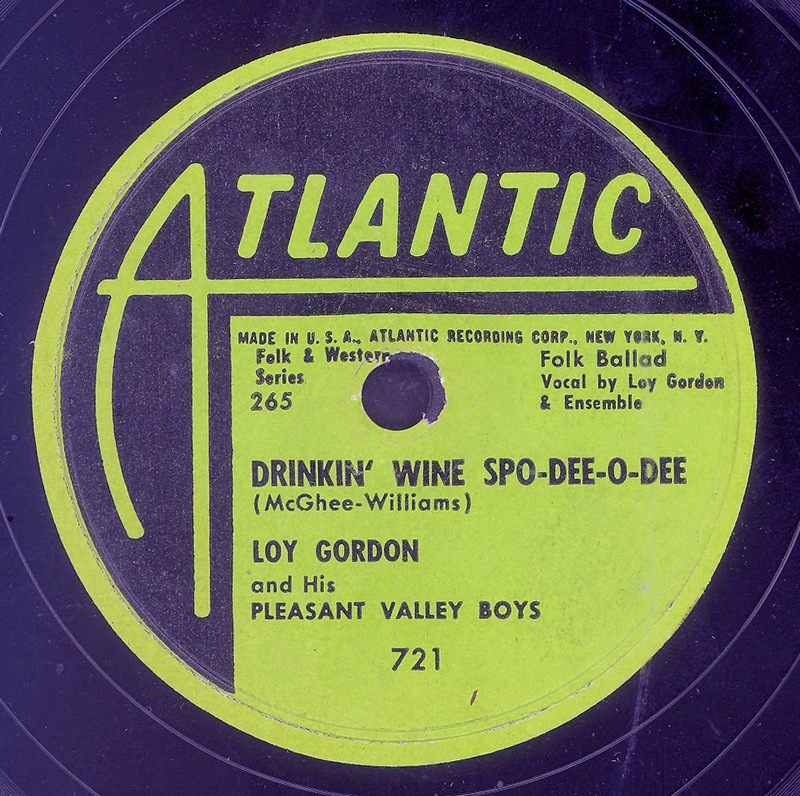 Note subtle change to the lyrics of “Drinkin’ Wine Spo-Dee-O-Dee”. 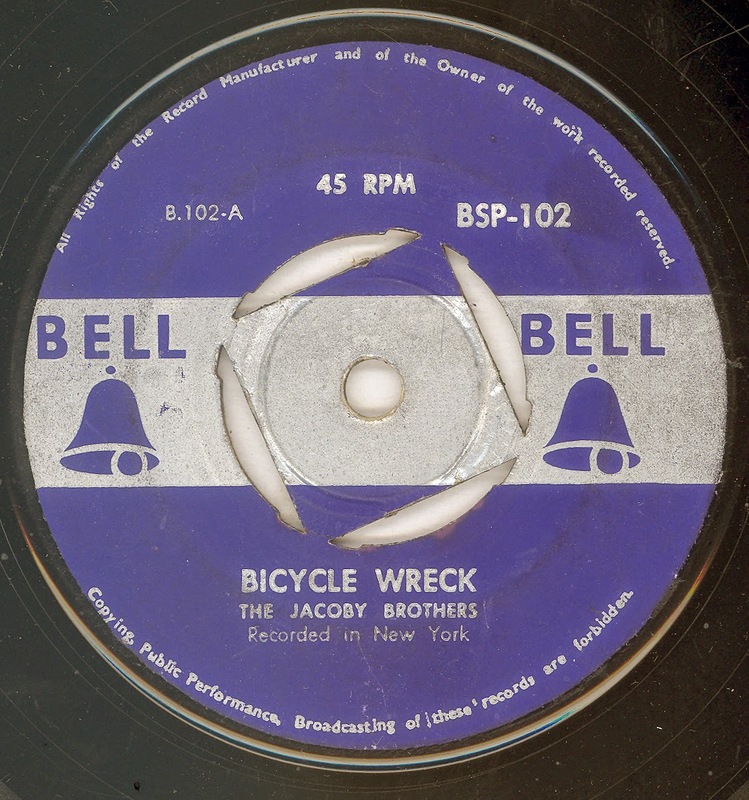 Both sides were recorded at the APEX Recording Studio New York City on 28th September 1949. 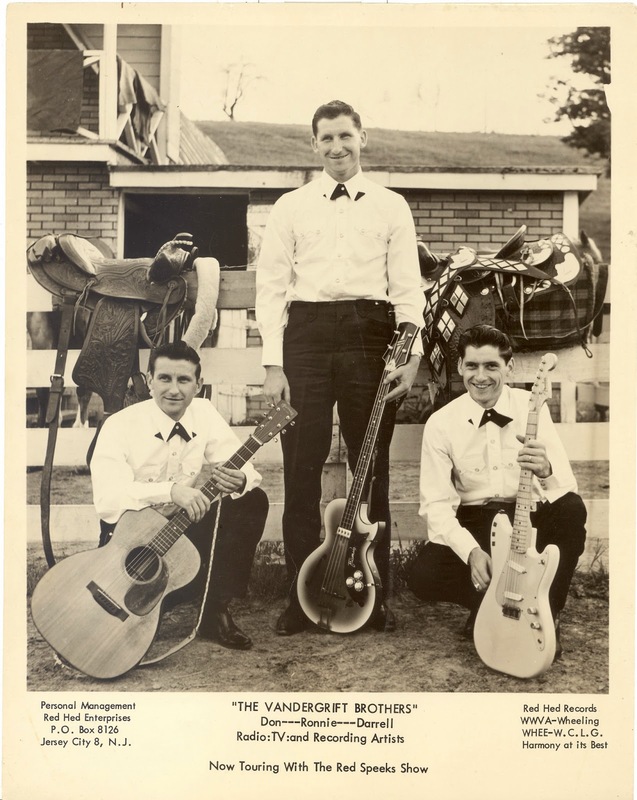 Bands name changed from Pleasant Valley Boys to The Buckeye Buddies! 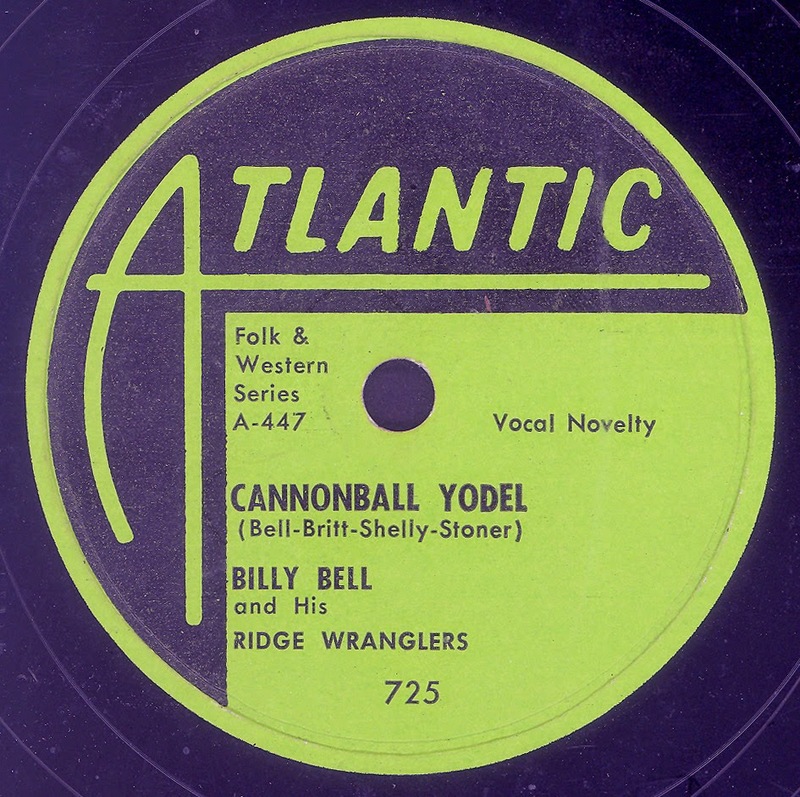 I'm not sure if the guys at Atlantic knew where to place this release, in any event they dropped it into the 700 series, but removed from the label any mention of The "Folk & Western Series"? 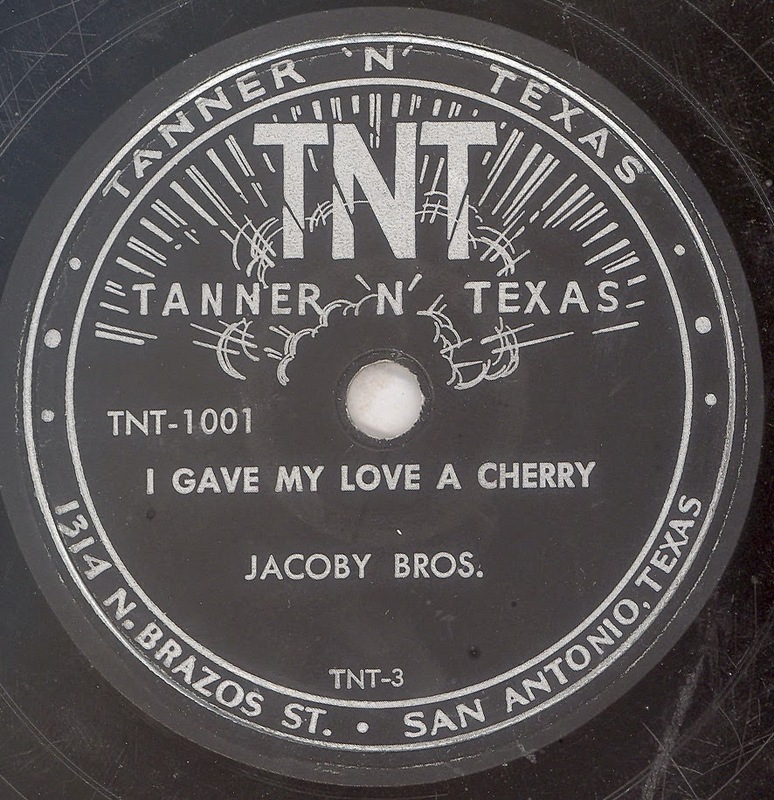 In its place are the old familiar musical descriptions "Fox Trot" and "Novelty" .Both sides were cut at Apex in February 1950. 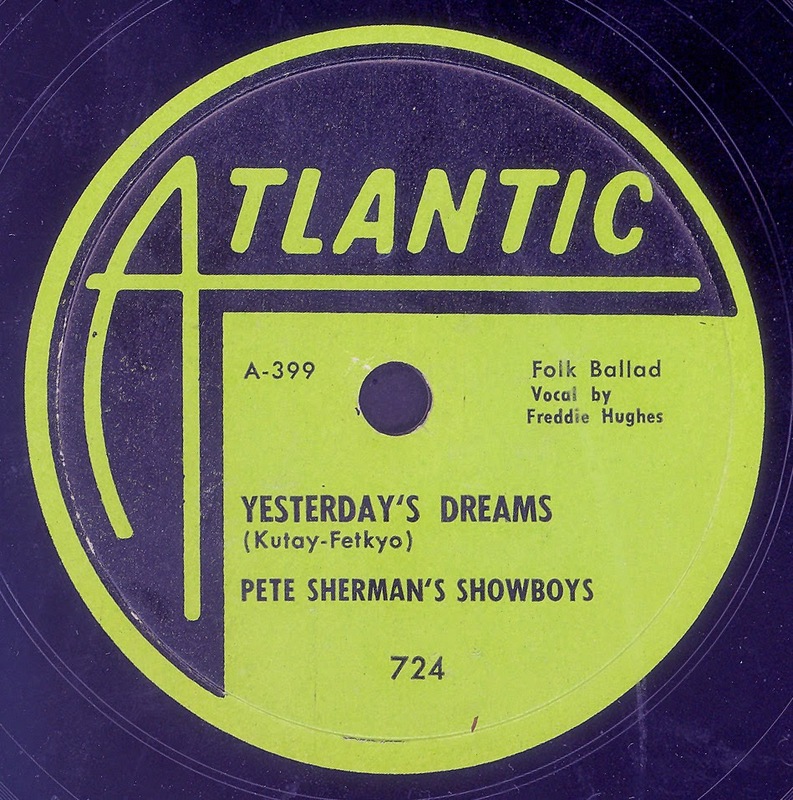 It would appear that Pete Sherman's Showboys, credited here as The Playboys, provide the musical accompaniment. 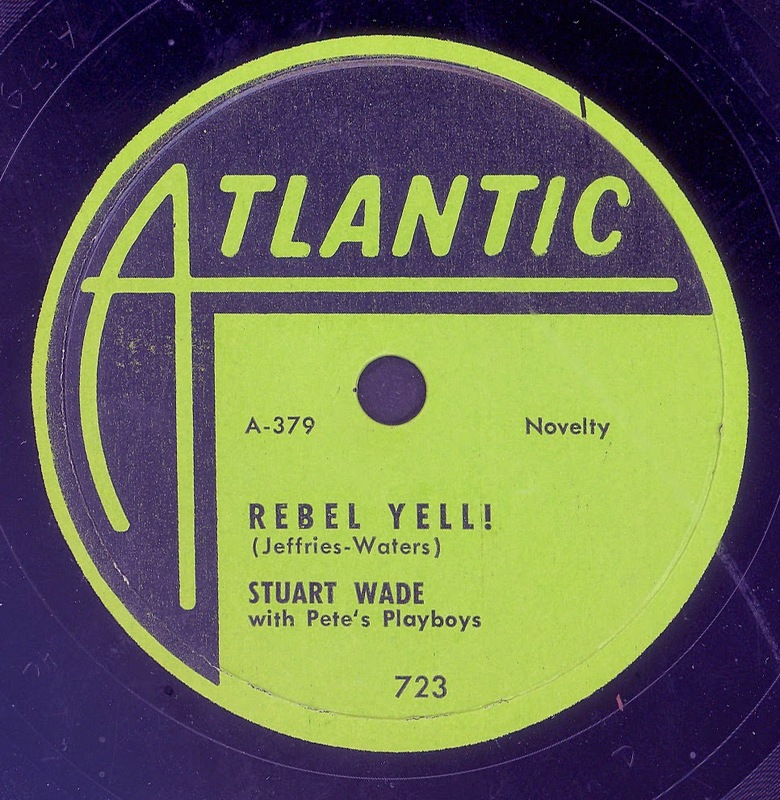 I must admit that I can't think of many Western themed songs ("Rebel Yell!") 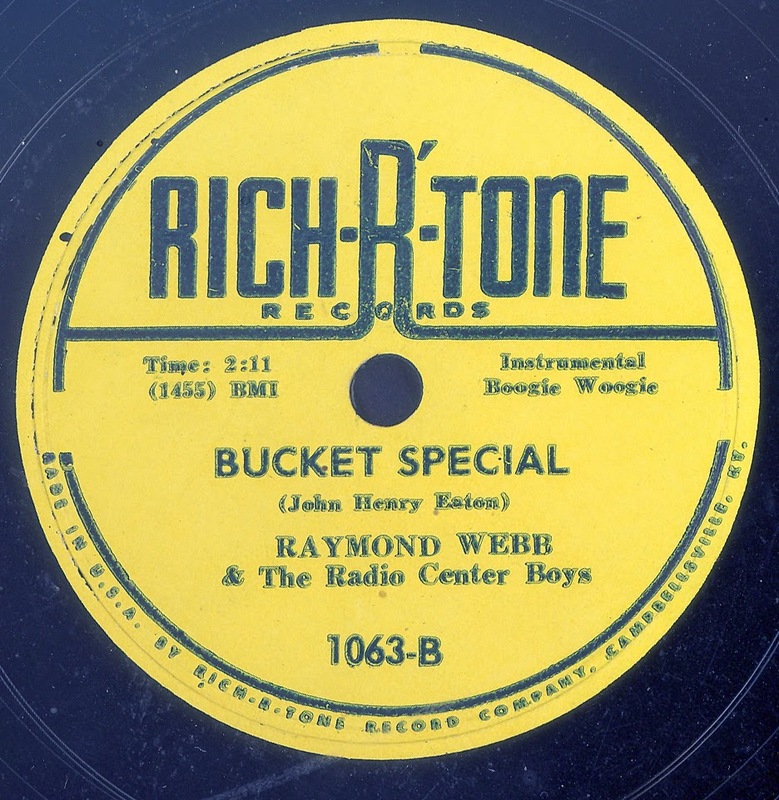 which feature kettle drums! 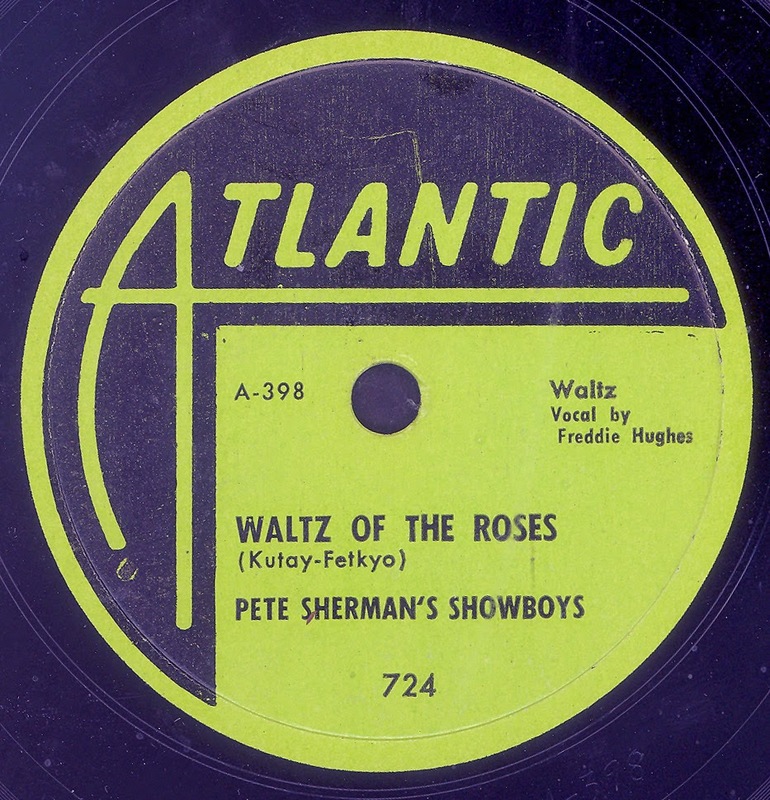 The notation "Folk & Western Series" returns to the label of ATLANTIC 725. 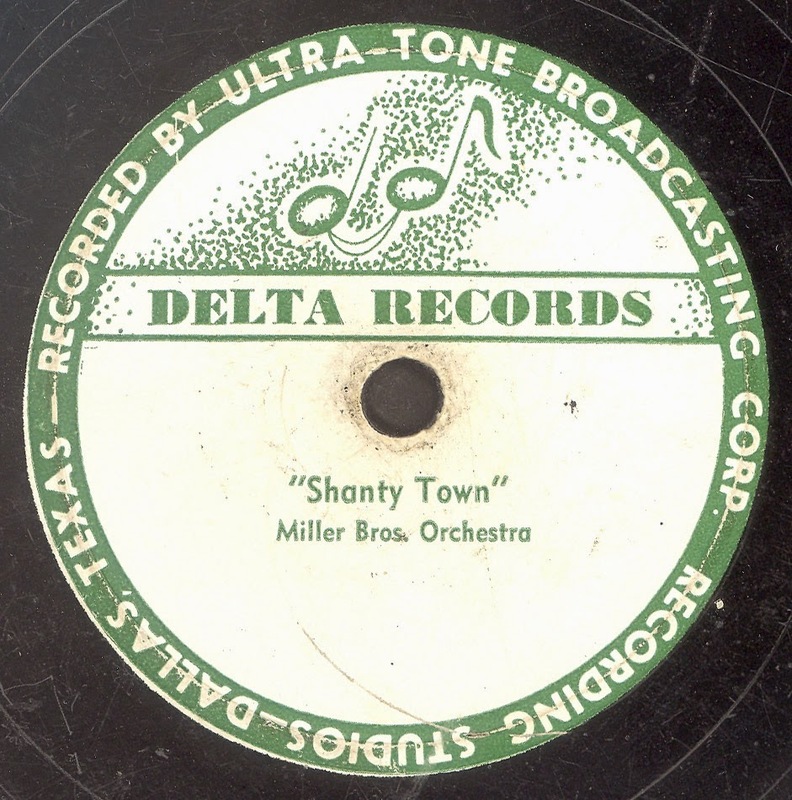 These recordings were purchased, from whom it is not noted, on 12th June 1950. 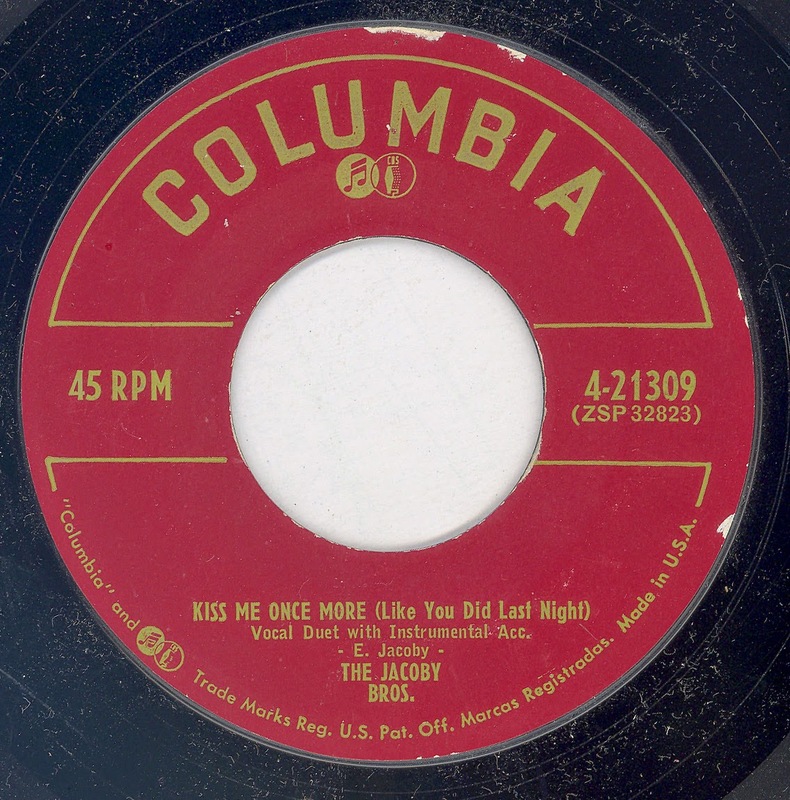 A total of four songs were acquired, the two unissued titles were (448) "I Did Everything To Make You Happy" and (449) "If All My Heartaches Were Roses"
Another batch of purchased masters, although this time just the three titles, which were acquired, possibly from Lillian Claiborne down in Washington DC, in June 1950. 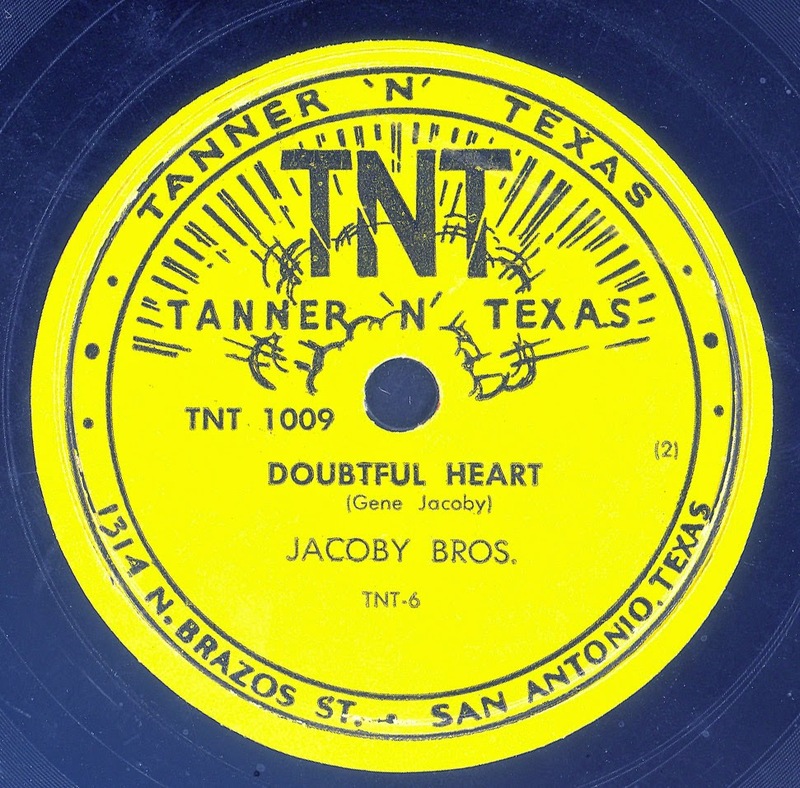 The unissued title from this selection was "Road Of Heartaches" (461). 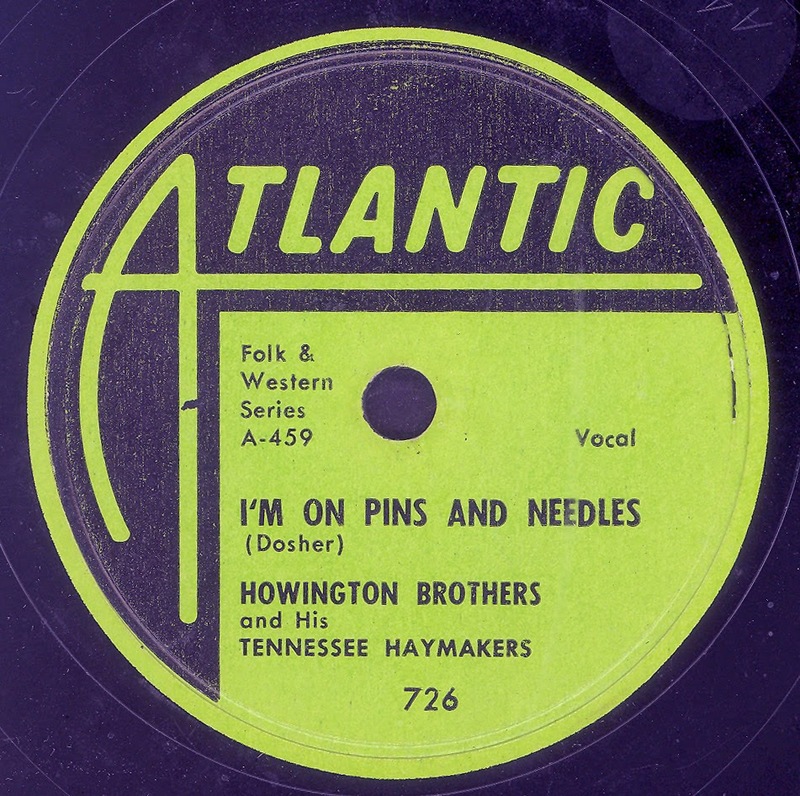 Humorous little label misprint, ATLANTIC 725 is credited to The Howington Brothers and His Tennessee Haymakers? 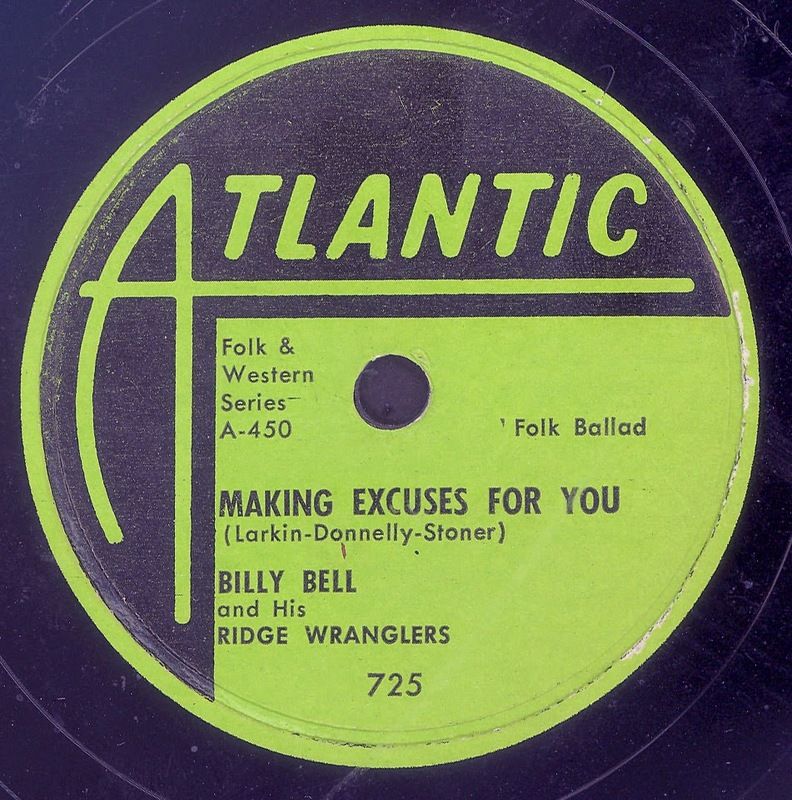 Apart from Dub Howington, who played lead guitar, his brother Roy, bass, the band on these recordings may also include Eddie Dean on accordion, with possibly Herbie Jones on Rhythm Guitar. 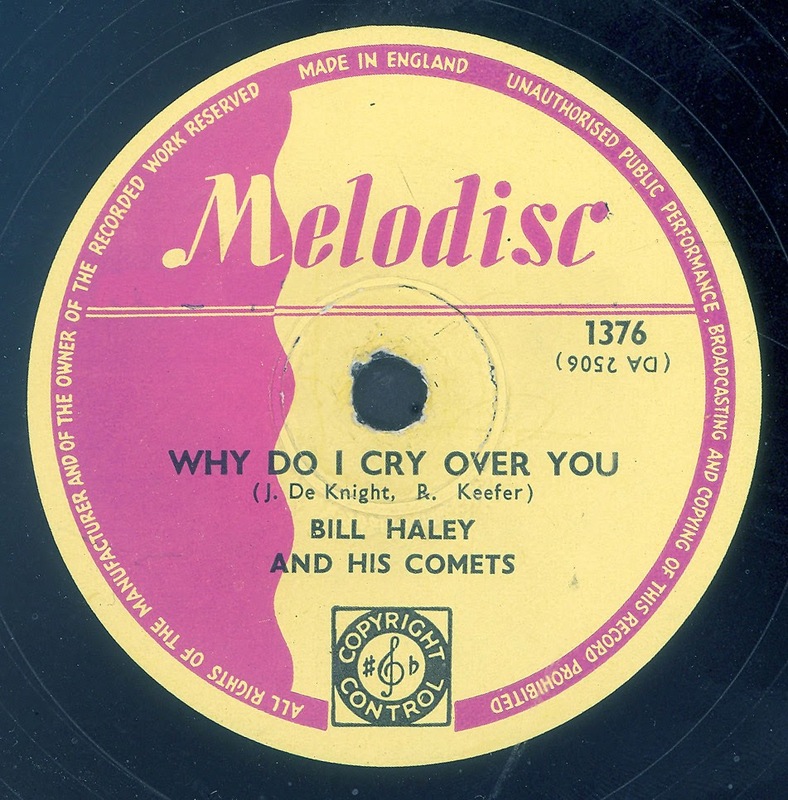 For many collectors Bill Haley's release is the Jewel in the Crown of ATLANTIC's "Folk & Western Series". 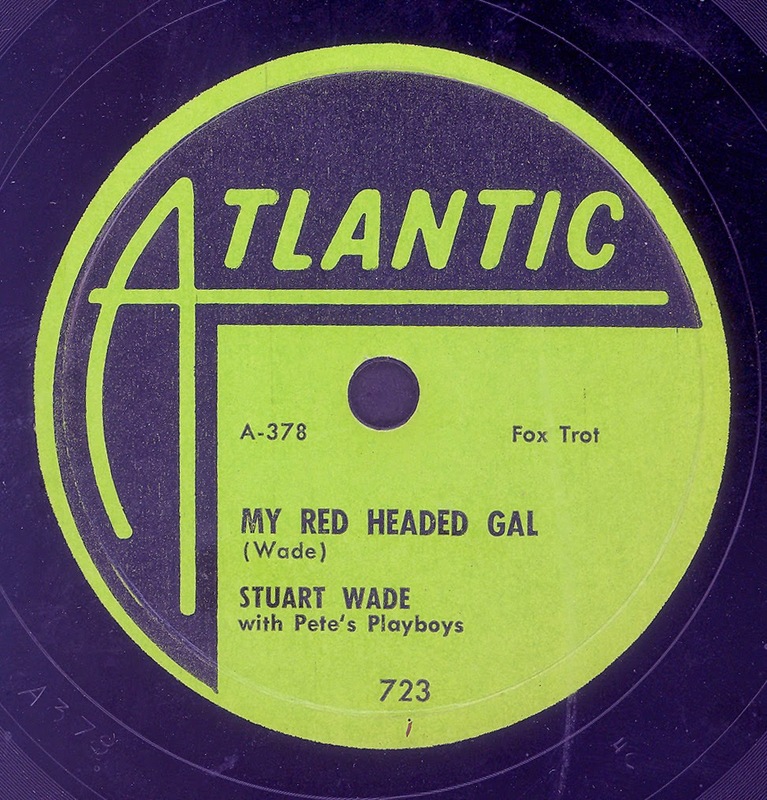 Unfortunately I do not have an original copy of the ATLANTIC disc, but I do have a copy of the belated English release of the record, issued in the United Kingdom in 1956. 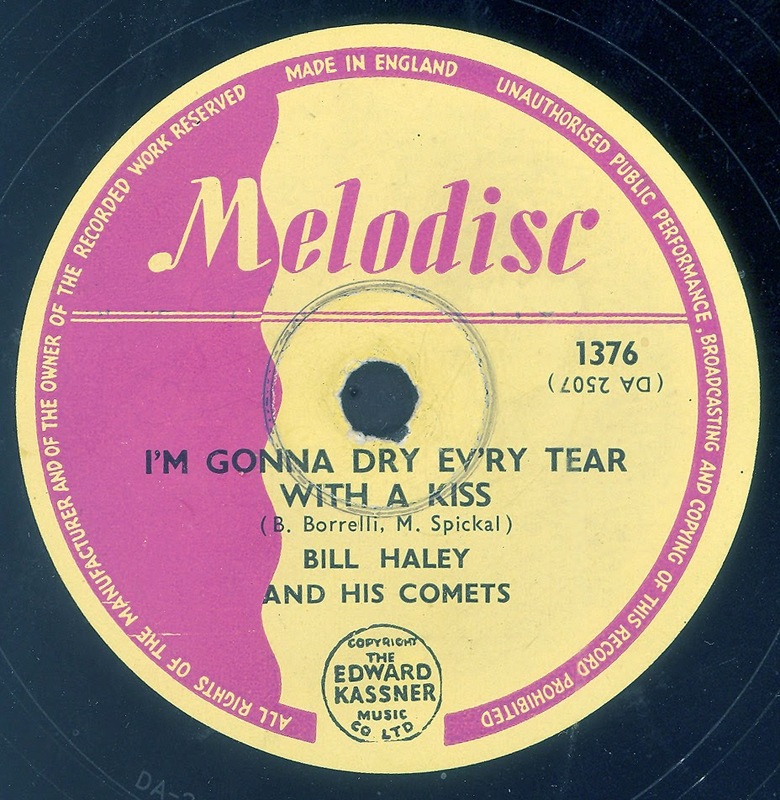 Thanks to "DrunkenHobo", who supplied label scans for ATLANTIC 727, I can now confidently state that the MELODISC label credit of Bill Haley And The Comets is incorrect, it is as you can see from the scans Bill Haley And His Saddle Men. 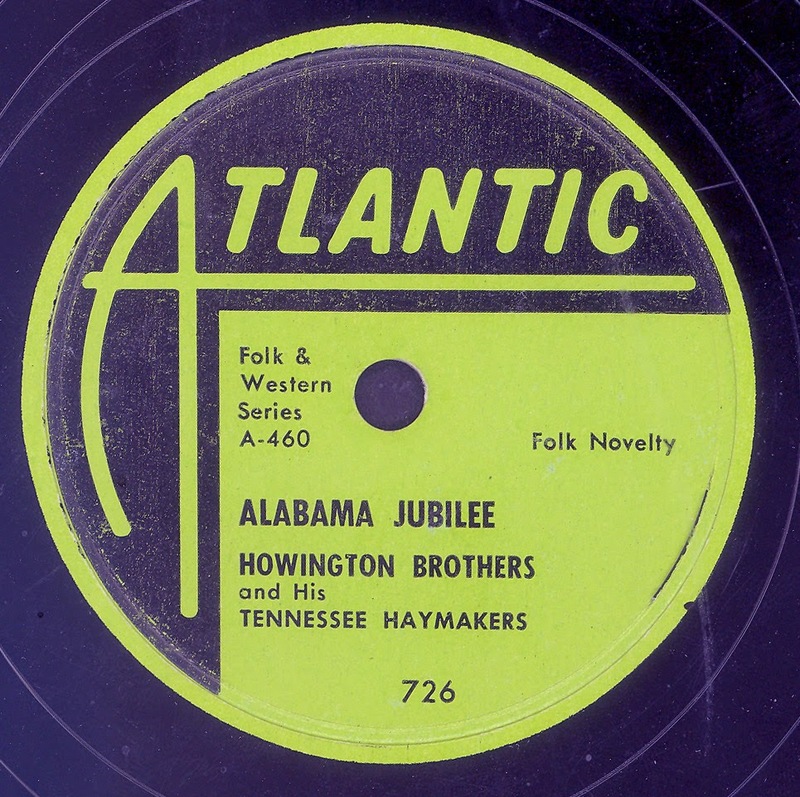 ATLANTIC purchased four masters from James Myers (aka Jimmy DeKnight) in September 1950. 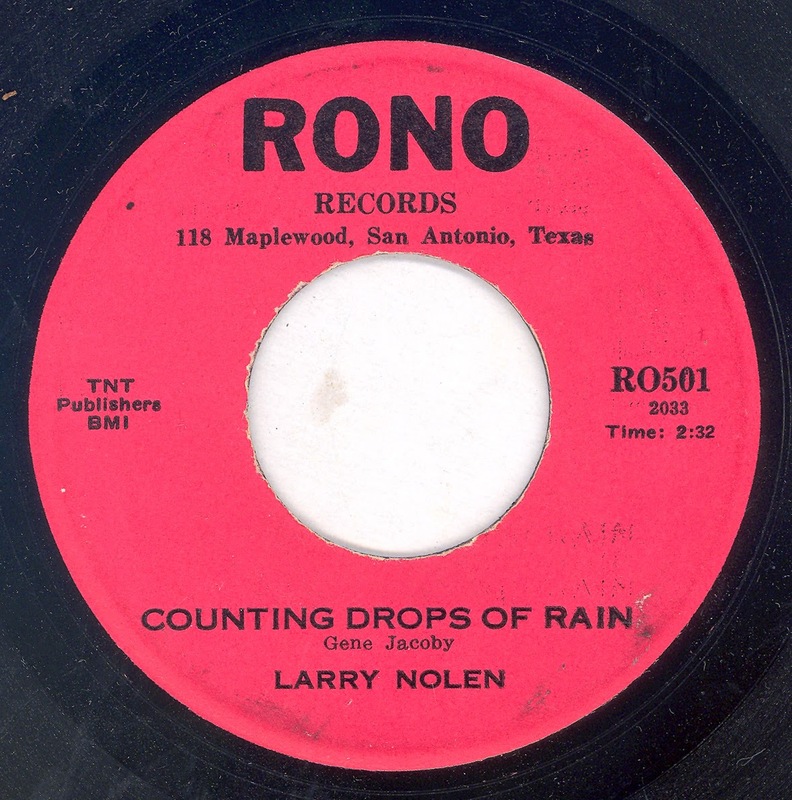 The two unissued sides are (524) "Teardrops From My Eyes" and (525) "Loveless Blues". 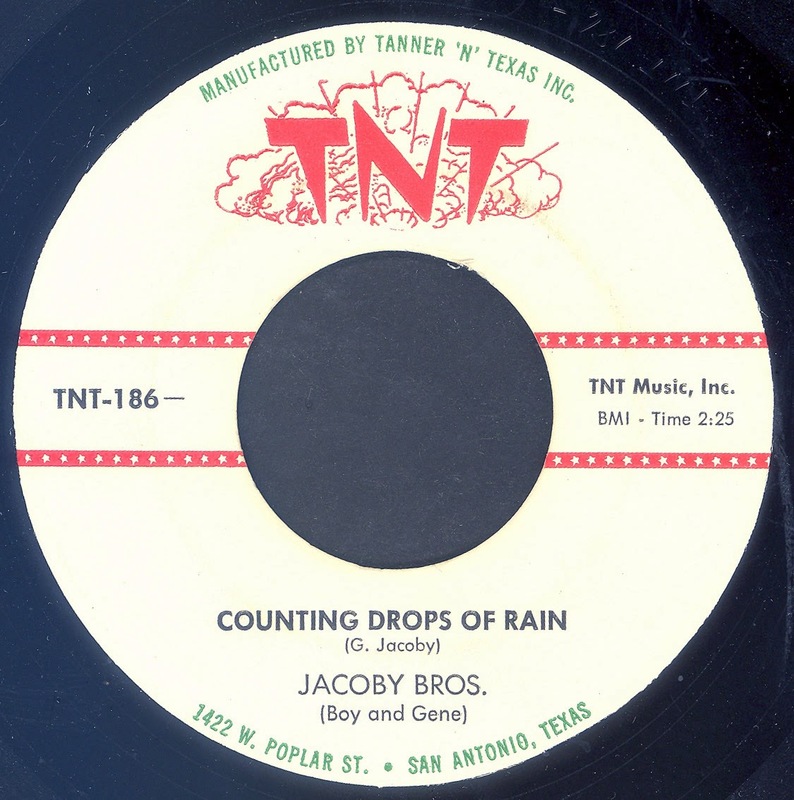 ATLANTIC 727 scan courtesy of "DrunkenHobo"
The seven records above does not represent the sum total of ATLANTIC's "Folk & Western" output. 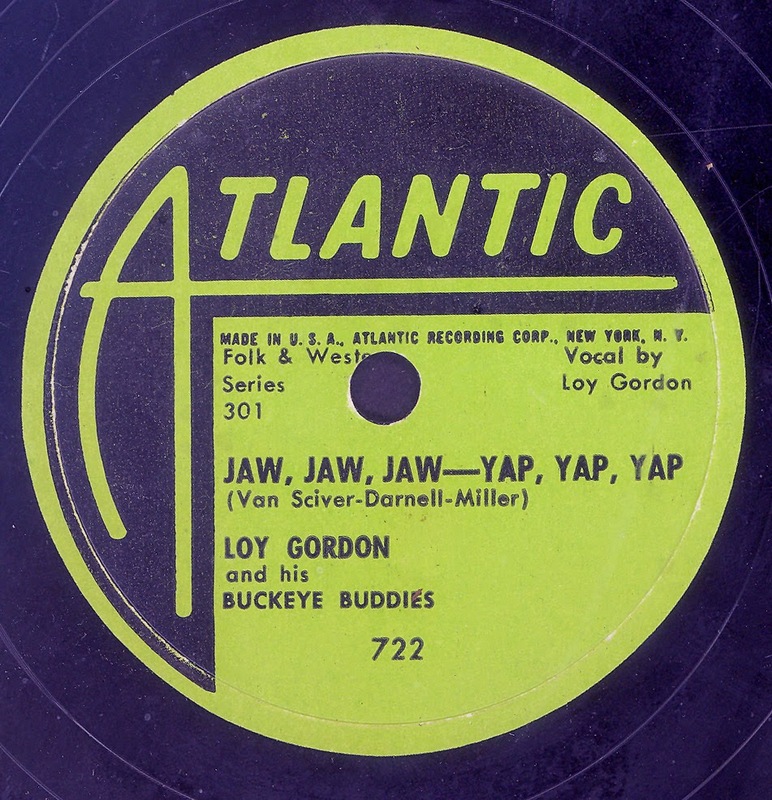 In 1953 they put out a record by Buddy Hawk And His Buddies "The Death Of Joe Stalin (Good Riddance)" / "Painting The Big Town" ATLANTIC 7024. There is also the vexed question of Billy Grammer's PLAZA release, it has been suggested that PLAZA was an ATLANTIC subsidiary. 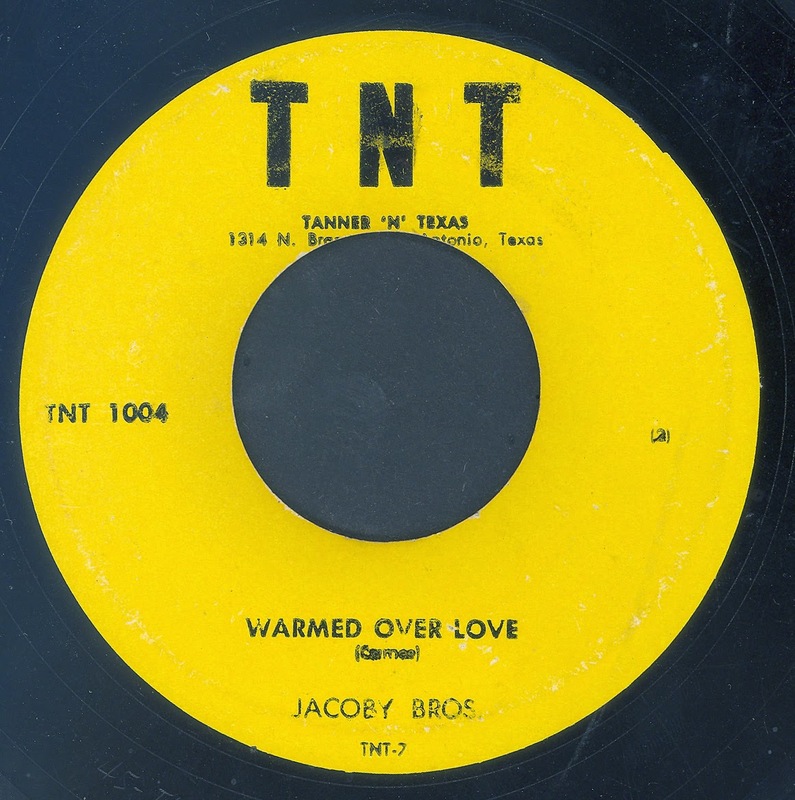 Grammer's material was recorded at Radio Station WWDC, Washington, DC and purchased by ATLANTIC in January 1950. 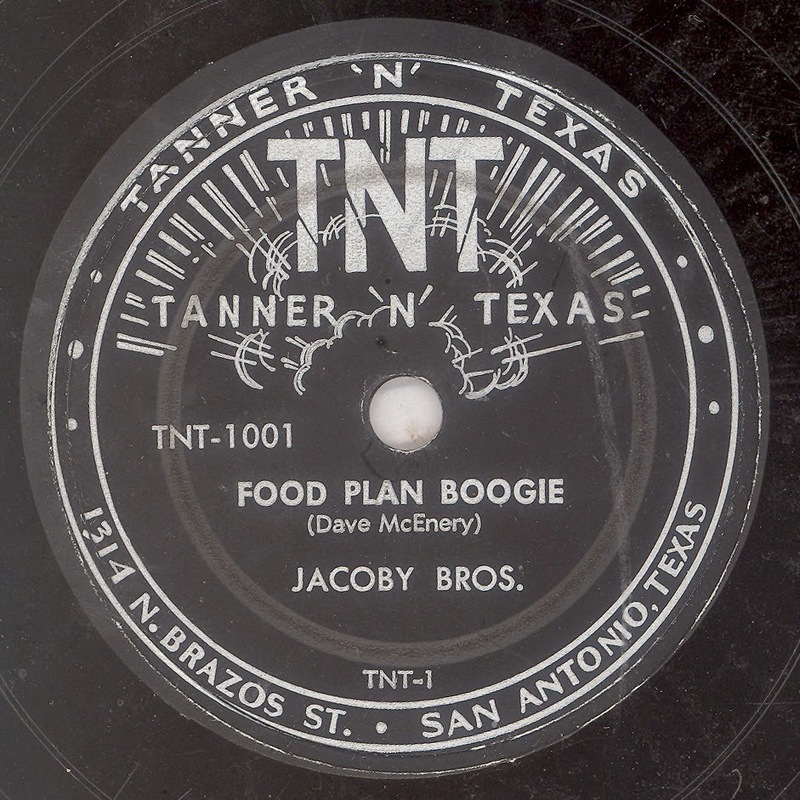 There is no notation on label of the PLAZA release that the label was part of ATLANTIC, nor can I find any other reference to PLAZA in the ATLANTIC files. 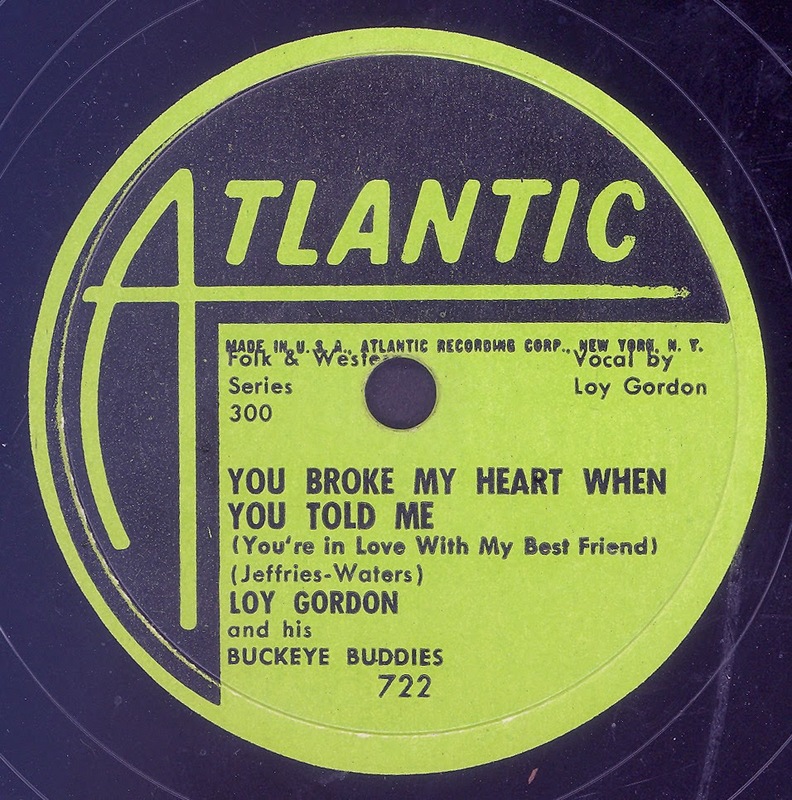 Why didn't they release the two sides in their newly launched "Folk & Western Series", they had already recorded material by Loy Gordon, and the first release in the series was probably out or imminent when ATLANTIC acquired the material in January 1950?